We are publishing this letter exceptionally in conjunction with this week’s protest against the poverty pimps to show an example of the impact of benefit cuts and assessments such as those of Atos could have on disabled people and their families – the added anxiety, stress and anguish . We have been given permission to publish this anonymously. RE: Disabled people against cuts. I am writing in support of your campaign against government cuts to disability. After reading the article in the Guardian 9th May “Job centre staff get guide on handling suicide threats” I really felt I needed to get in touch and tell you about the experiences we have had with the Job Centre. My family has a history of mental health problems, I have a sister who suffers from psychosis and bipolar and I have spent the last ten years trying to help her. Until recently no one in our family was aware that another sister had also developed this awful condition. My younger sister’s illness developed quickly and over the year she had gone from being a bright 32 year old professional to a withdrawn and paranoid, scared person. She had moved house during this time and had also lost her job. During this time we could not find out where she lived. When she did contact by email asking for help, we were shocked to find that she had no electricity in her flat, and had been surviving on Weetabix and water for 6 months because she had been refused benefits. It was very obvious from her condition that she was very ill and hadn’t eaten for many weeks. We later learnt that her self-imposed seclusion was because she had felt that everyone was conspiring to have a committed to a mental institute. We learnt that she had attended the job centre on a number of occasions asking for help and had also asked her doctor for a sick note but was refused. In her desperation she became frantic, the doctor then phoned the police and said she would commit her under the mental health act. She was held for a night in a prison cell because of an argument over a sick note. The doctor was fully aware that she was mentally ill but had refused to provide a sick note to her! But instead was using the law to section her under the mental health act, why? My sister is generally a very shy and sensitive person and because of this experience she became extremely paranoid, it was so severe she never went out after this. During all this time, no one from the family was told about her condition and when we found her she was severely paranoid and very scared to open her door to us. She phoned the police to say that she didn’t want us to visit her and the police sent us away with a caution. This was heart breaking for us since we could see she needed urgent help. Nothing can describe the feeling of being told that by law you are not allowed to help someone if they did not wish it. Even though, I am sure the police were fully aware of her record and could see that she was very vulnerable because her flat was mouldy and flooded and she had a burst pipe that she couldn’t afford to fix and she was painfully thin. I believe that the doctor in charge of her care was negligent because she did not provide her with a sick note, even though she thought her sick enough to be committed to a prison cell under the mental health act. If the doctor had looked into the family medical records they would have seen that we have a history of mental illness in the family. Additionally, the doctor did not contact anyone in her family or help her with her condition by providing her with a sick note. Her illness was being exasperated by the fact that she had no food and electricity at home and that she was being dealt with very insensitively by the job centre. It is very sad that up until her death, my sister felt hounded and traumatized by the fact that she was imprisoned. She was afraid that it would happen again, so she hid her illness very well from others and very rarely ventured outside her home. 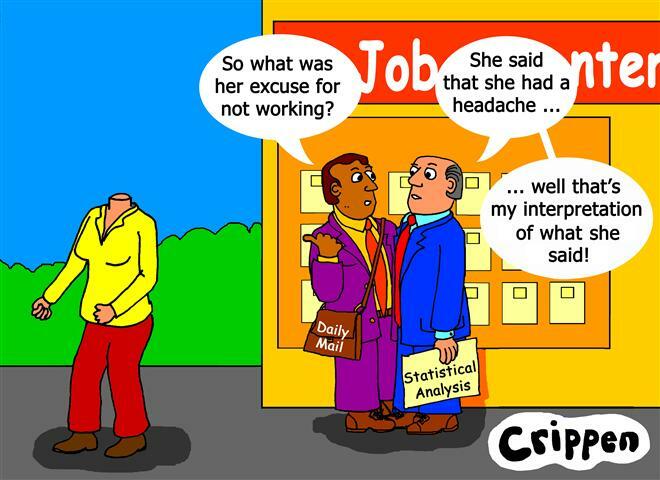 She only attended the job centre when she was over her mania, which was cyclical and without a sick note no-one at the job centre would believe she was ill enough not to work. With a little more time we managed to get her to see another doctor, she was prescribed anti psychotic drugs but she still had no income and was going to lose her home. My sister is very independent and strong willed. She was up until her illness a very successful programmer and had always earned her own way through life. The loss of her job brought on by her illness was not something she would admit too easily, and the shock of being imprisoned was something she never got over. In September 2010 we received a phone call from the foreign office in Portugal telling us that our little sister had committed suicide. She had boarded a flight the day before for Oporto with the intention of ending her life. She tried to take an overdose and then jumped from the hotel balcony. She was alone when she died and no one from the family had been able to reach her. I have always thought that the UK system of welfare was a lifeline that the neediest were able to access easily. But with our experience we found that the cold and bureaucratic way that people are now being dealt with is really too cruel especially for those suffering from mental breakdown. Knowing whether someone has a mental condition cannot be easily judged from a job centre application form or within a few days of a claim. The immediate stance taken by the job centre is that anyone applying for welfare through sickness is obviously lying. Mental illness takes months to diagnose, this is not taken into account by the job centre. After her funeral, we were left to tidy her affairs and give her belongings to charity (as per her wishes written in a suicide note). It was very heart breaking that the very same day of learning of her death; she had a letter arrive claiming that her appeal for benefits had been accepted. It is sad no see how far the UK government want to push people in order to cut costs. The compassion has left the welfare system and we are left with a very harsh ‘conservative’ system. Thank you for highlighting the case of many people who are going to be side lined because of the new government measures. I would hate for anyone else to have to go through what we have been put through over the last few months.